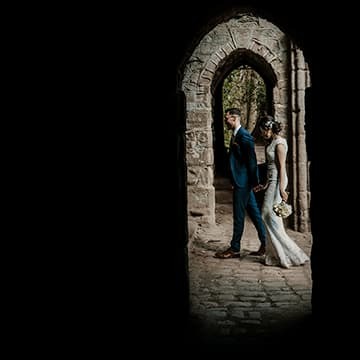 Stories Of I Do Wedding Photography spent a fantastic day in Leicester with an awesome couple at one of our favourite wedding venues, the spectacular Mythe Barn. 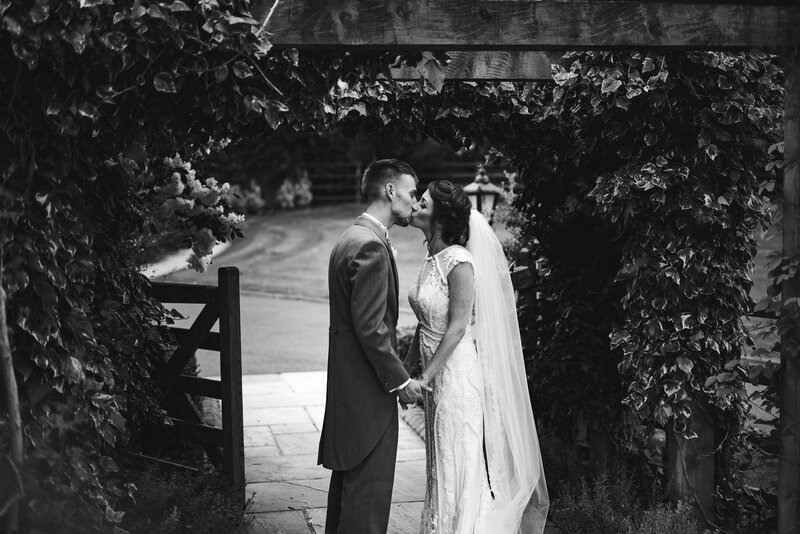 Sheryl and Sam chose Myth Barn as the setting for their rustic countryside wedding. That Sunday we joined the couple at the stunning venue. 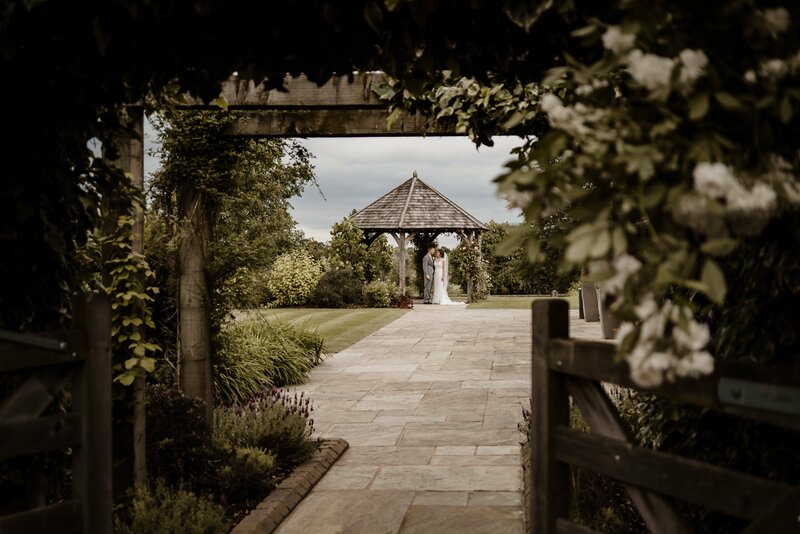 Mythe Barn is a specially designed wedding barn, we love to photograph weddings here. The setting has a high emphasis on stunning locations for epic photography. Pockets of light, rustic textures and beautiful backgrounds are in abundance. It was the perfect setting for what came to be an incredible day! Mary began the morning with Sheryl at Mythe Barn, relaxing and enjoying some time with her Mum and Grandmother before preparing herself for the day ahead. 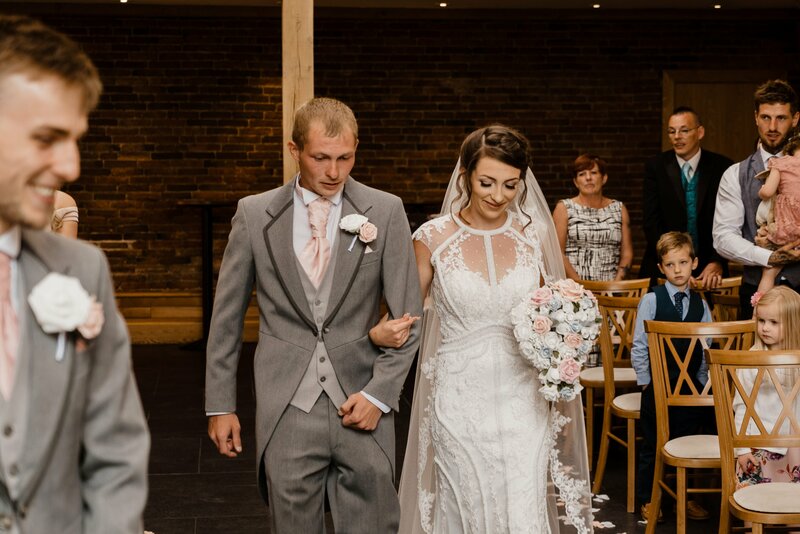 It is always essential for a wedding photographer to take some time to shoot all the lovely details as well as stepping back and watching what is going on. Jon spent some time with Sam who was also at the Myth Barn hotel in the company of his groomsmen. Sam had plenty of time for a few portraits before greeting the wedding guests and preparing himself for the ceremony ahead. Once everyone had gathered inside, the dress was on, and the bride had made the short stroll down to the ceremony room it was time for the wedding to begin. Sheryl was walked down the aisle by her very proud brother. Their civil ceremony room was beautifully decorated with florals and a petal scattered aisle. After a very heartfelt ceremony with much laughter, the couple completed the formal part of their day. Dancing back up the aisle and in high spirits, the couple enjoyed drinks and cuddles with their family and friends. Once everyone had enjoyed the drinks reception, we paused for some family groups in the gardens before dinner. As we headed into the gorgeous Leicestershire and Midlands countryside, the rain was just about holding off and we made great use of an afternoon at Mythe Barn for some portraits. We wandered the lush gardens for some classic pictures of the newly weds. 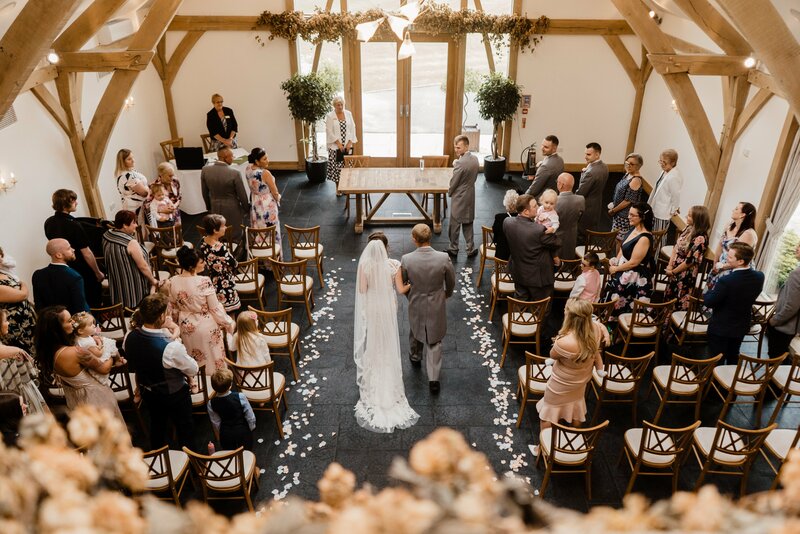 Dinner was soon announced, so the guests made their way into the gorgeous separate wedding breakfast barn. The couple were welcomed into their wedding breakfast to enjoy good company and a delicious meal. They enjoyed a round of speeches and a delicious meal. 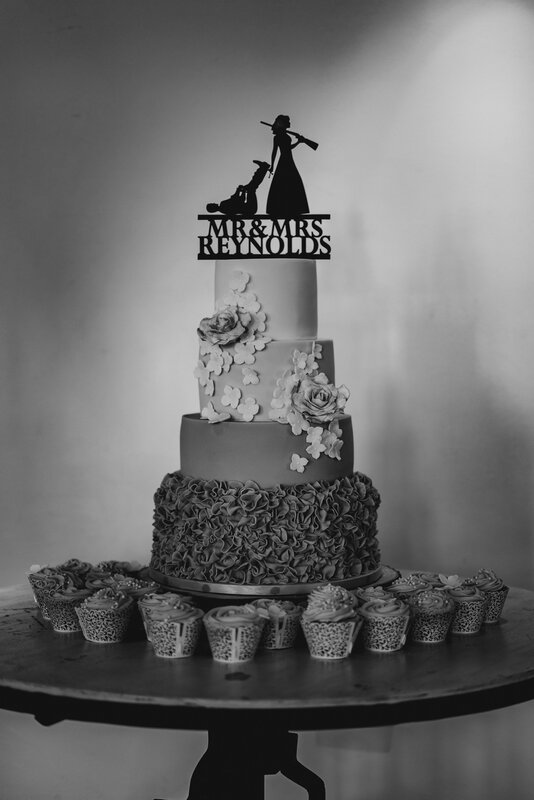 Once the evening began, the couple cut their cake and took to the dance floor as man and wife. The couples DJ was prepared and ready to welcome the couple onto the floor for their first dance. Family and friends were soon welcomed to join, and the party was buzzing pretty much all night long! Massive Congratulations to Sheryl and Sam, such a beautiful wedding enjoyed by two of the kindest people. 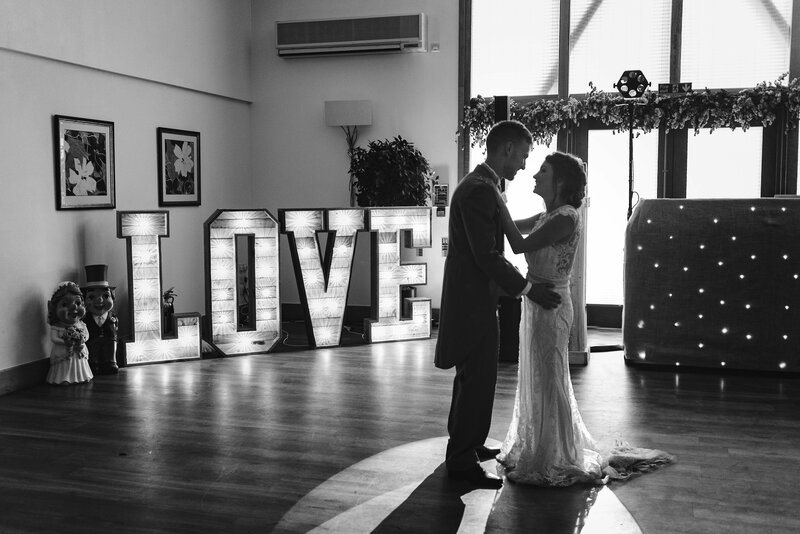 Thank you so much for choosing Stories Of I Do as your Mythe Barn wedding photographers! 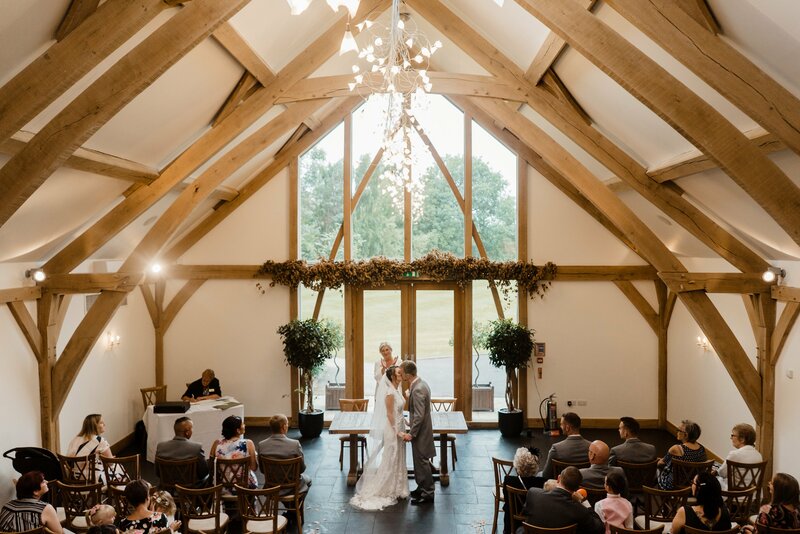 If you are looking for Mythe barn wedding photographers we are running a speical promotion of any wedding taking place at the barn. Just check out our offer page. 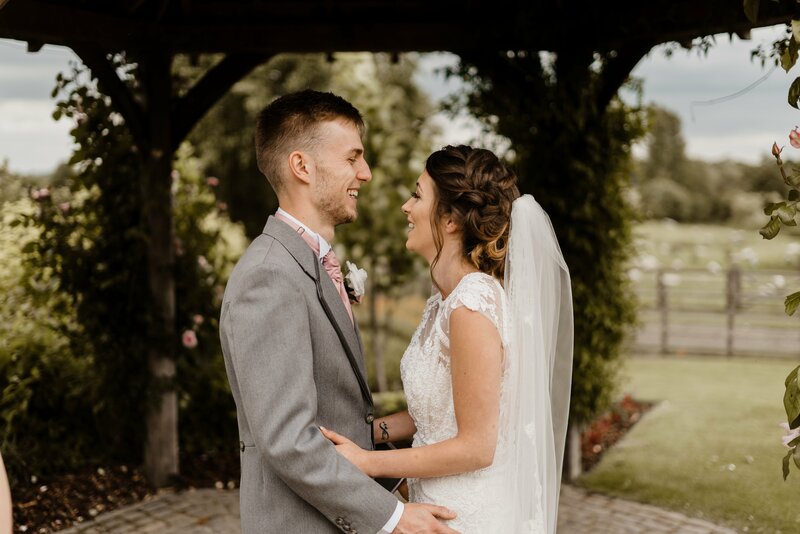 Sneak Peek – Anne & Duncan – Leathley Wedding Photography STORIES OF "I DO" Andy and Debbie Thorne Methodist Church Wedding, Doncaster STORIES OF "I DO" Sneak Peek – Amy & Alex Chevin Country Park Wedding, Leeds STORIES OF "I DO"